HOLLYWOOD – Ben Affleck is to return to the role as Daredevil, Marvel announced today. The Town and Argo star Ben Affleck is to return to superhero movies. No, not as Batman you fricking idiots. As Daredevil, Marvel’s blind superhero he already played in the 2003 movie. That performance saw him nominated for an oscar and received nothing but praise all around the world. And then he went to DC and fricked it all up with his fricking Batman that everyone saw and hated. Personally, I liked his Batman performance. The films were tripe in a toilet bowl but that wasn’t his fault. Phone call between Studio Exec and Marvel, December 1st, 2018. Studio Exec: Who is this? SE: Oh, hi Marvel, how you doing? M: So we got Affleck. SE: No way. Wait, what for? M: He’s coming back as Daredevil. SE: How’s that work? Isn’t he too old? M: No way he’s perfect. He’s got that sadness going for him now. And everyone is ready to see something a bit more mature and deep. We’re going to Logan the motherfucka! It’s gonna be dignified and tragic. A subtle exploration of the human spirit overcoming adversity. I said, Ben, it’ll be your most autobiographical film to date. M: He loves it. You know Ben. Plus we’ll get Jen to come back as Electra and Matt Damon as Foggy. SE: Sounds like you got a plan. M: Yeah. Okay but keep it close to your chest huh, SE! We want this to be filmed like totally in secret and then we’ll boom drop it during the superbowl. Netflix those motherfuckas at their own game. BOOM! Again. 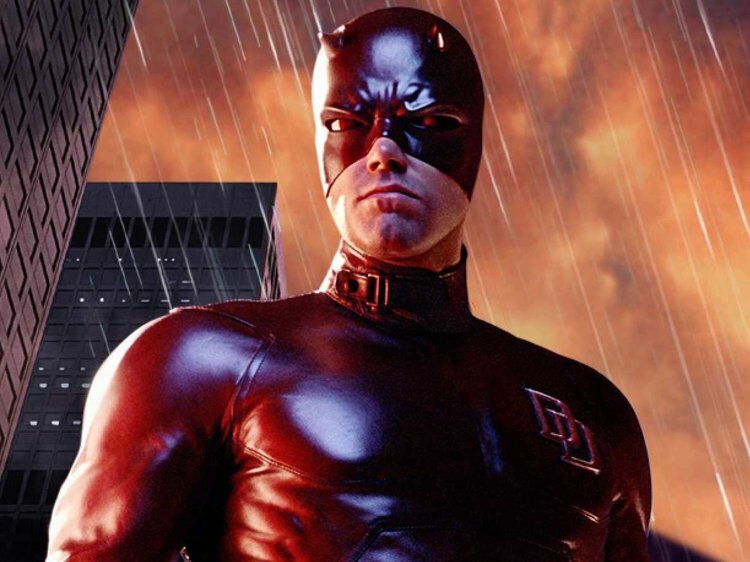 Old Daredevil will be released during the Superbowl, 2019.